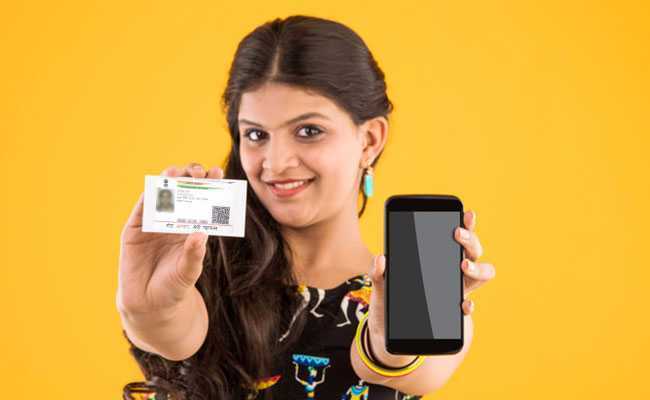 The government on Tuesday told the Supreme Court that it might consider extending the March 31 deadline for linking Aadhaar to various government schemes as well as mobile phones and bank accounts. The statement, on behalf of central government, was made by the attorney general K K Venugopal to the Constitution Bench headed by Chief Justice Dipak Misra. The bench is hearing a bunch of petitions against the Aadhaar (UIDAI) law. The government made a submission in to the bench to the effect that the Centre had extended the deadline in the past too, and it can do so again. "If required, we can do it again," Venugopal said after petitioners challenging the constitutional validity of the Aadhaar scheme sought an extension of the deadline to link the 12-digit unique identity number with various government schemes and services. Currently, the deadline for mandatory linking of Aadhaar to avail the benefits of various welfare schemes is March 31. That includes as many as 135 schemes (of 35 ministries) including the free cooking gas (LPG) to poor women, kerosene and fertilizer subsidy and targeted public distribution system (PDS). Aadhaar Linking Deadlines. Five Things To Know. 1. The government, by making the statement on Tuesday, is moving towards extending the deadline beyond March 31. The current deadline is less than a month away and the aadhaar case is unlikely to be decided in the apex court before that. 2. The government, had, in November extended to March 31, 2018 the deadline for mandatory quoting of Aadhaar and Permanent Account Number (PAN) for taxpayers. The extension, a government notification said, has been granted "after considering various representations received and inputs received from banks." 3. On December 15, 2017, the apex court had directed the extension of deadline till March 31 for the linking of Aadhaar with bank accounts and mobile phones. 4. The constitution bench is hearing challenges to the constitutional validity of the Aadhaar scheme on the touchstone of the fundamental right to privacy on a bunch of petitions by former Karnataka High Court Judge K.S. Puttuswamy, Magsaysay awardee Shanta Sinha, feminist researcher Kalyani Sen Menon and others. 5. The CJI-led Constitution Bench had commenced the final hearing starting January 17 on the petition challenging the Aadhaar scheme.